I had a wonderful time at the recent Marist College Enterprise Computing Conference and I had the pleasure of meeting several IBM engineers who design and program the assembler instructions for new IBM machines. They have an amazing depth of knowledge (as you would expect) of the instruction set and they inspired me to dig deeper into the Principles of Operation to tackle some of the newer instructions. I was at the conference to promote VisibleZ as a teaching tool, and during the talk I mentioned that there are 500+ instructions now. An engineer in the audience signaled higher! VisibleZ offers a subset of instructions that were available on the System 360 – plenty of instructions to be a useful learning tool. Still, I want to move forward, so over the next year I will post my experiments here with the newer 64 bit oriented instructions. I’ll also try to bring VisibleZ into the 64 bit world. 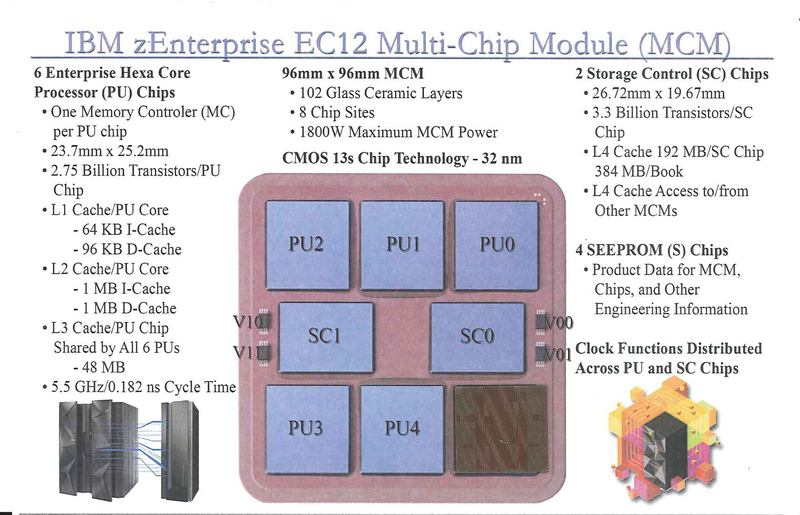 The image at the top is a conference handout that contained a chip in the bottom right corner from the latest IBM zEnterprise mainframe – an EC12. Check out the statistics of that processor!